The fire pit LINCOLN 80 is an eye-catcher in every garden thanks to its modern design and rusty look. As one of the few angular fire bowls, it sets new design standards. Due to its angular shape, the fireplace is a popular design element. It differs from the already known round design and therefore is a welcome change for fire bowl fans. The 30 cm high fire pit LINCOLN 80, which is available in 80x80 cm, offers enough place for small, cosy flames as well as big fires. 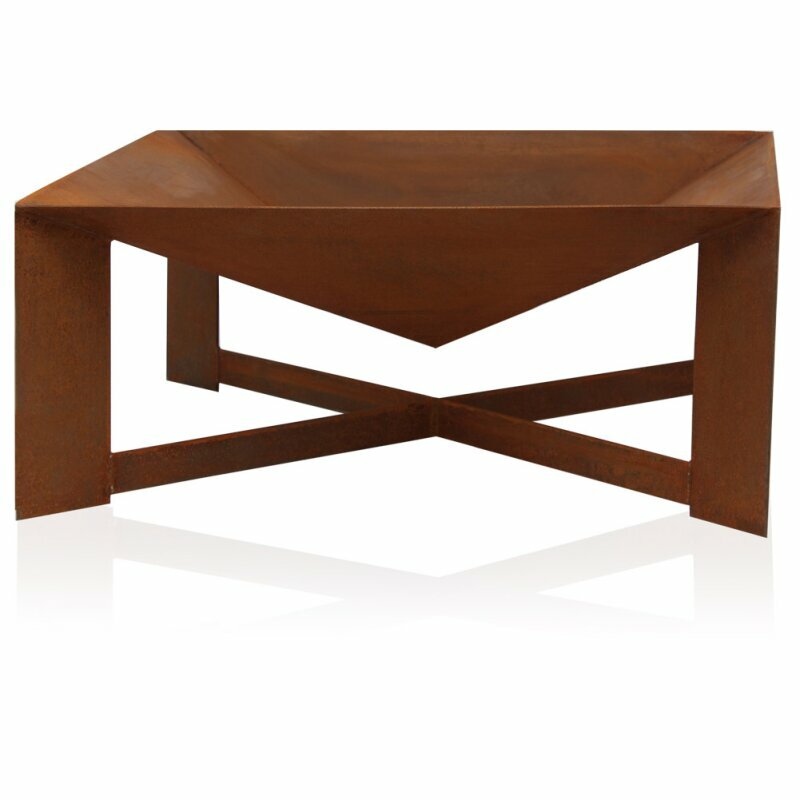 The qualitative fire bowl is made of untreated steel and is absolutely heat-resistant. It can unhesitatingly be used with charcoal or firewood.